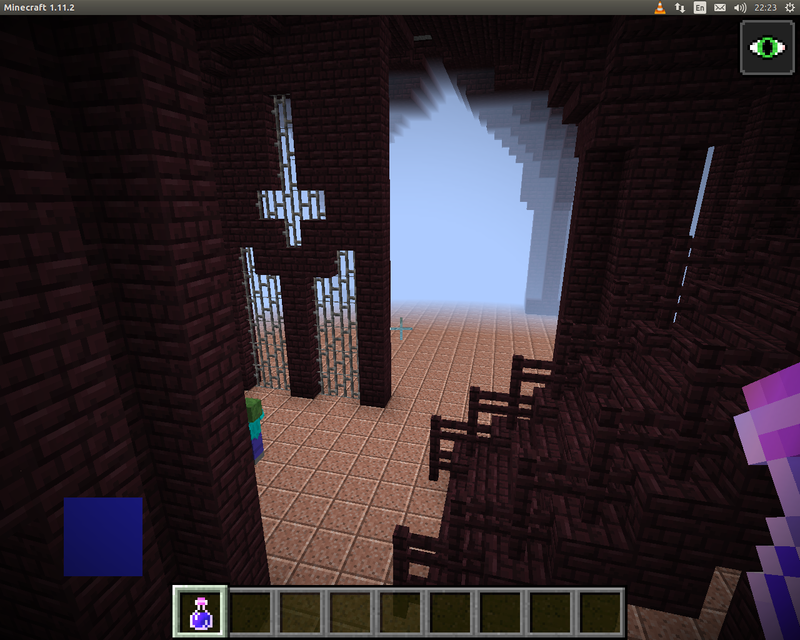 Mod generate irregular labyrinth inspired by Diablo (first one) created from various pre-defined 16x16x16 structures. Labyrinth started from Y=0 and below and continued to world borders. 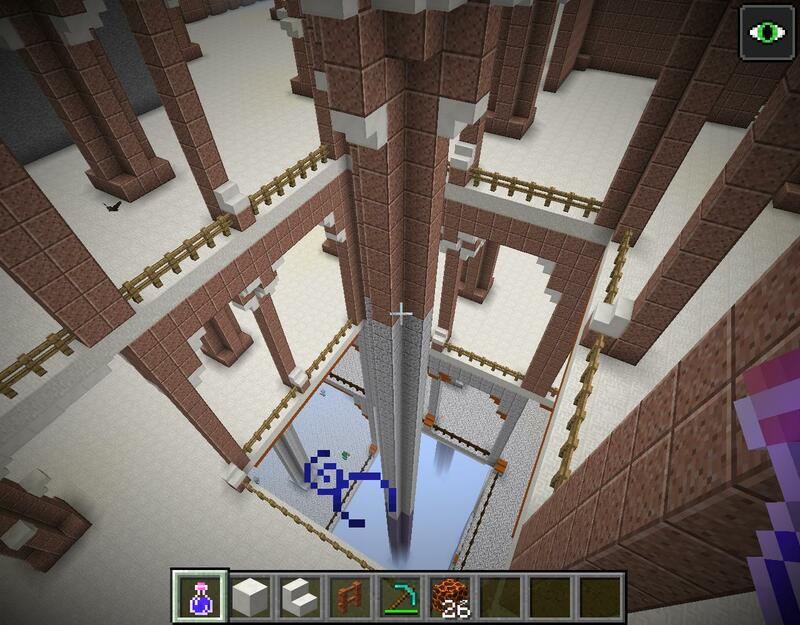 This mod need Cubic chunks mod for work. Cubic chunks itself is WIP mod and have no release versions yet. Definitely interesting mod for cubic chunks, I'm going to test it soon. Wonderful idea! 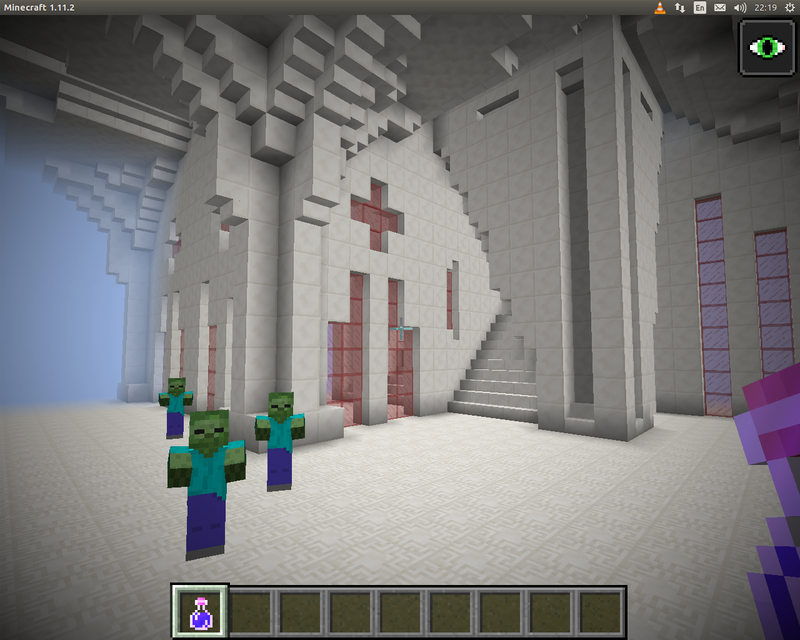 And yes, a Cubic Chunks enabled world is the perfect place for something of this scale. Procedural generation for something like this can be a wonderful way to add variety to a world. Please do keep working on this. Will do. Thank for support. 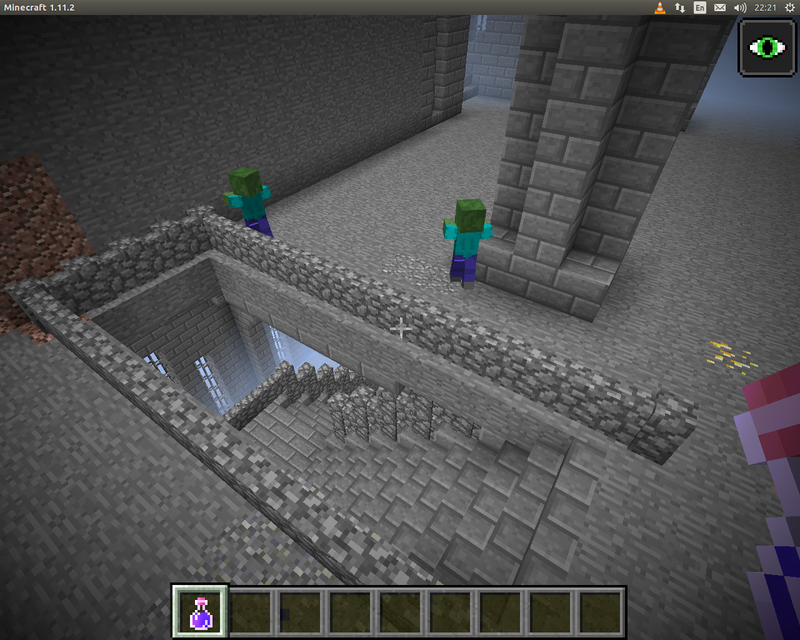 New in fresh version: Dungeon now separated by levels. Each level have a height of 32 blocks. Vanilla mob spawn (and respawn) disabled and levels now have mobs generated together with cubes (currently only zombies). A deeper mob a more it faster, a more it do damage and have more health. Each level have it own blocks and therefore have unique look (currently 8 levels). Wow.. You are really making great use of all that extra height, I guess I should say depth. That is really great design work too, good use of colored glass and materials and in how each level looks different. Being able to create custom procedural worlds with this much variety and freedom is the kind of thing I've always wanted from Minecraft. Thank you for contributing to that dream for everyone. And thanks to Barteks2x, Cuchaz and Robinton for working to give us the space in Minecraft worlds to make such things possible. This looks great! It'll be interesting to see how well it behaves with the other mods I'm trying to get to work with CC 1.11.2. Edit: After the first couple of levels, the FPS really drops because of all the dungeon generation. Still, this is so gorgeous I'm going to add it to my pack. Edit 2: A lot of test worlds have generated labyrinths up to Y=16 and destroying diamond content (as well as ocean floors), so it will have to be taken out of my pack until fixed, but even then it is still an awesome mod and I look forward to its being fixed. This looks great so far! keep it up! I derp. A lot. please forgive me if I derp... A lot. Ok, I finally fix horrible integrated server lag probably caused by path navigator and mod is mostly playable now. I do it by restricting server side entity update if no players around on a same level. Also loot is rebalanced, mobs now drop random level loot, creeper explosion power depends from level and some other changes. Great job! The update really removed most of the lag, it really is noticeable! Now I wish we could select what Y level the labyrinth begins in a config file, because it still peeks out of the ocean floor and eats away at 99% of the diamonds. Also that lag in Path navigator seems like something indicating a deeper issue there, something I forgot to patch in vanilla. I will dig into that tomorrow. What you did may be just a workaround. BaccarWozat your suggestion is fullfilled. 1. "dungeonStartHeight" - what you ask for. 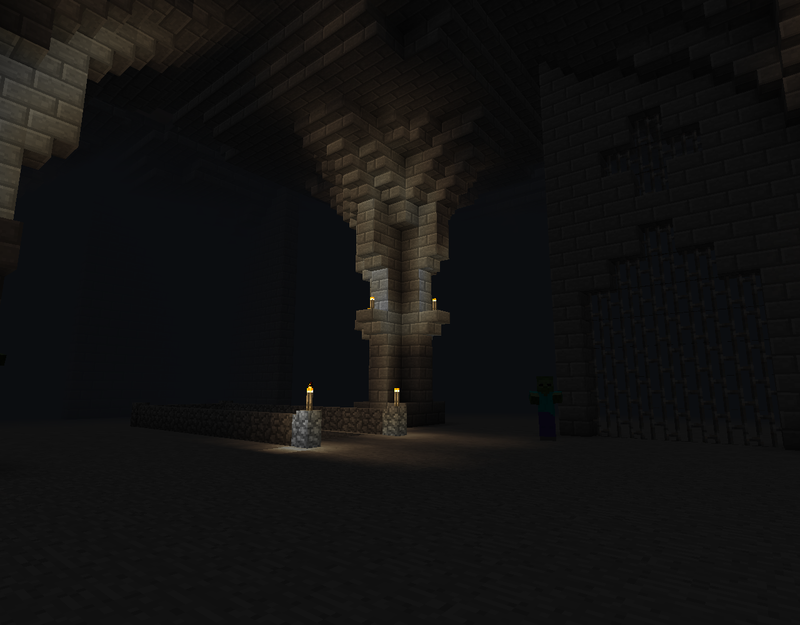 Height below whom dungeon will be generated. 3. "dungeonBiomeHeightLowerBound" - biome values range in whom dungeons will be generated. A few examples: Ocean biome has biome height base equals to -1.0, Deep ocean biome: -1.8, Plains: 0.125, Forest hills: 0.45, Savanna Plateau: 1.5. By default lower bound is set to -1.1, therefore dungeon will be not generated under "Deep ocean" biome. Using those two values you can set dungeon generation to be performed only under hills or only under oceans or only under plains. All config options is saved within world data in a moment of a new world creation, therefore you can create a several worlds with different config. 0.1.3 released. Update your Cubic chunks as well. 0.1.4 released. Update your Cubic chunks as well. 0.1.5 released. Use latest Cubic chunk version for MC1.11. Fixed compatibility with dedicated MinecraftForge server. 0.1.7 released (I forgot what I changed in 0.1.6). Mobs now spawned in groups. Some mobs (slimes, vexs) are nerfed. Mob target seek range increased to 12 cubes. 0.2.5 "Missing floors", slimes limited to size of 2, block pattern is persistent across session. Are you planning on updating th mod to 1.12.2? I get a Forge error saying the mod is for 1.11.2. 5ives, I thought I did. Did you use labyrinth-0.2.5.jar version? I completely missed that! Thank you!